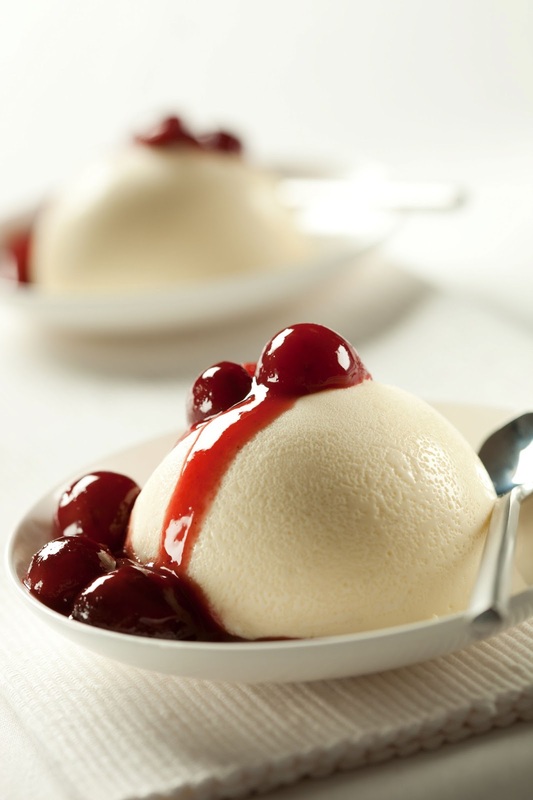 Melt in the mouth lemon pudding with a sour cherry coulis and and vanilla cream created in 5 minutes with 1 hour chilling.Can you believe it??? Desserts who can resist them? They are highlight of any dinner party and what every one looks forward to after a meal.Since its the last meal of the party it is one thing that all your guests will remember the most. 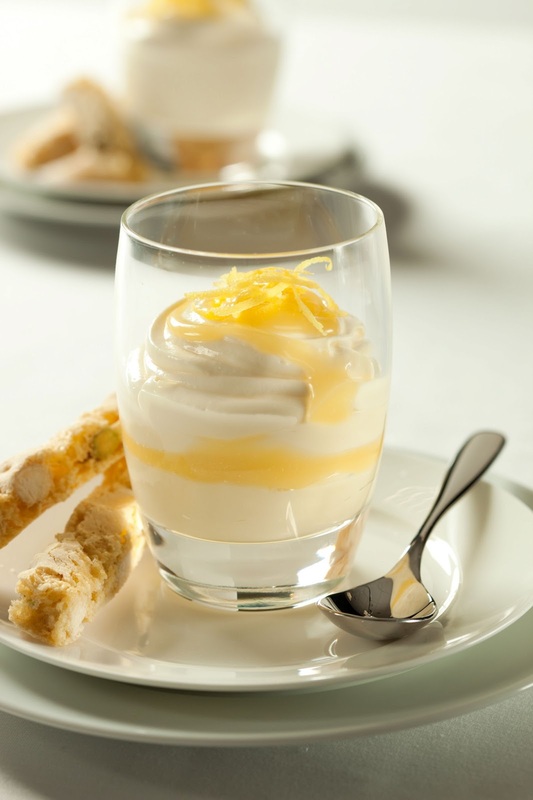 Preparing for dinner parties is somewhat stressful so would't it be so good if you could make a delicious and eye catching dessert in moments which will leave a lasting memory and leave your guests asking for more? The secret to awesome eye catching desserts has been masterminded by Devilishly delicious by Macphie. 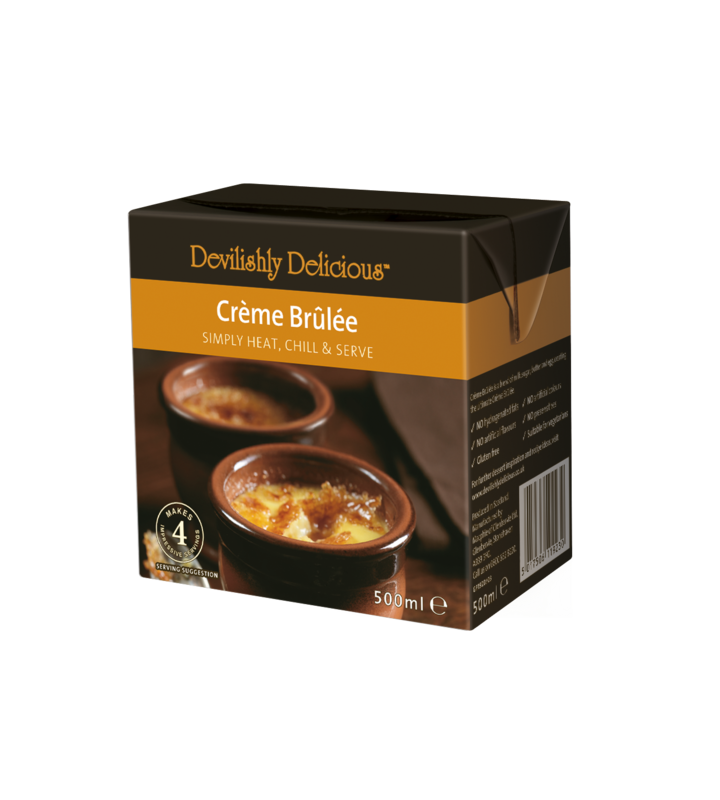 They create desserts in box, you simply heat them up and serve them in your desired serving dishes. 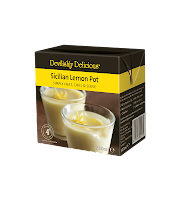 With flavours such as Sicilian Lemon pot, Pot au chocolat, Panna Cotta ,Creme Brulee you can create wonderful and tasty desserts such as Panna Cotta with Kirsh cherries,Lemon curd possett, mini lemon and chocolate tarts and even cheesecakes in less time than you think leaving you time to enjoy and savour your desserts without the hard work. 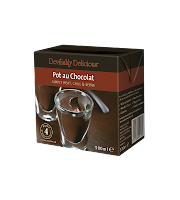 These ready dessert mixes come in 1 litre pack sizes and are suitable for vegetarians as no animal products are used in them. 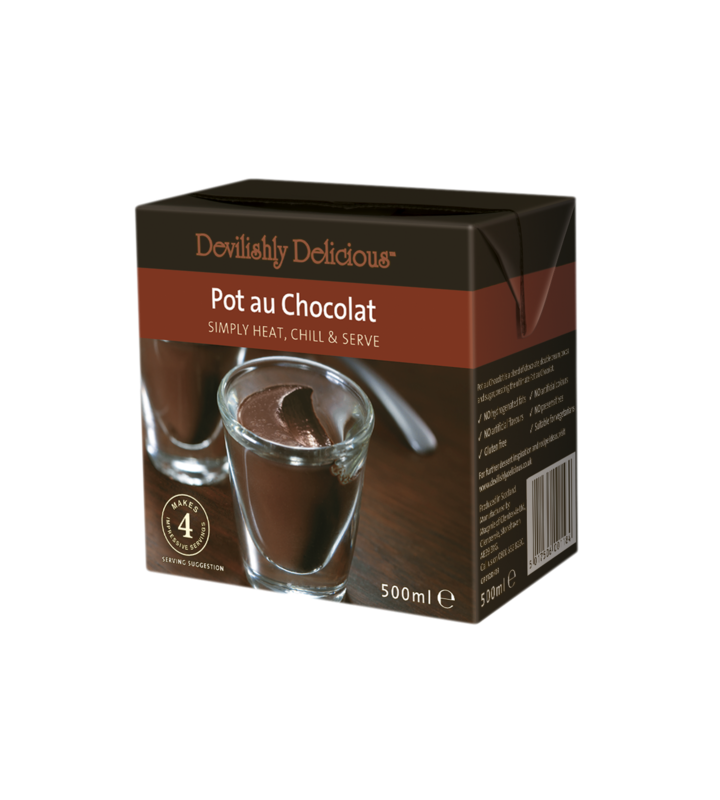 They are really versatile as they can be combined with many fruits, cake bases and used as toppings.Together with these desert packs there are also available ready-to-use culinary sweet and savoury sauces, desserts, fruit coulis, chilled, frozen and formed products as well as a selection of Bakery mixes, icings, fillings and frostings. All the products are available to purchase from supermarkets and lakeland.They retail at £ 2.89 a small price to pay for fast and speedy desserts that taste simply divine.For recipe ideas please check out these awesome suggestions. 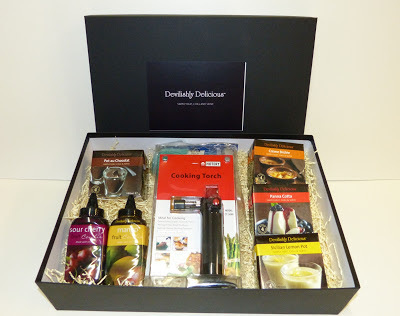 Thankyou to Macphie for sending me a wonderful Delicious Devilish Hamper so that I could try out their desserts, I must say that they are really speedy to make and taste absolutely fantastic.They are definitely a star in my larder now for my dinner parties and for that indulgence moment when I have the blues.All the views and opinions in this post are my own. 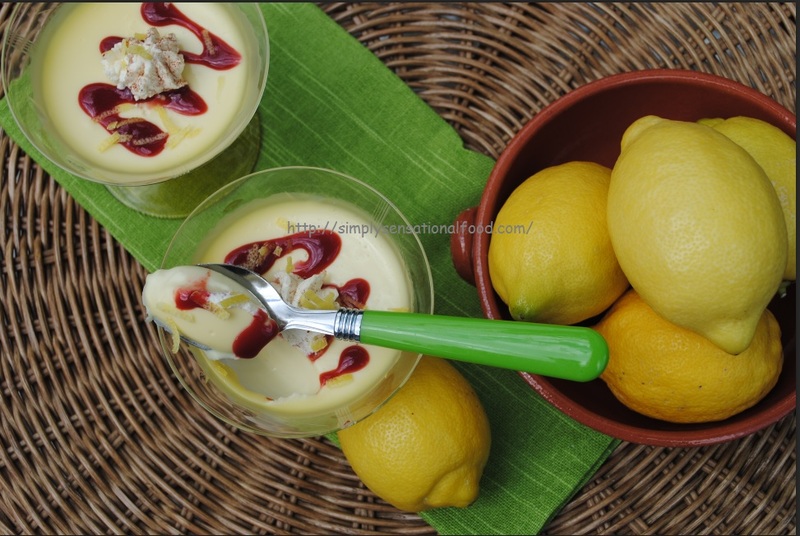 Since simply.food really want all their readers to sample these awesome desserts, Macphie have been very generous and agreed to send a hamper to one lucky simply.food reader so that they too can taste these awesome desserts. This competition is open to UK residents only .Please read the rules in rafflecopter widget . Cranachan - just love Scottish raspberries! I love a good cheesecake. Chocolate fudge cake warm with a nice icecream!! Yum! A homemade vanilla cheesecake with a crumbly base with lots of fruit coulis and cream. Yum! It has to be baked alaska with summer fruits. Cheesecake - the richer the better! Profiteroles - so showy and always popular. Home made Chocolate Mousse - yumptious!! Has to be an old favourite - jelly and ice cream! There's not many desserts I do like and having the kids and going to too many kids parties, I get to eat a lot! Well after jelly & ice cream which is very hard to beat & is a proper party food, I LOVE lemon meringue pie. 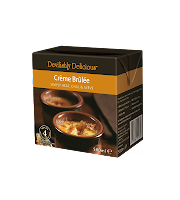 Crème Brulee because it is delicious and reminds me of The League of Gentlemen. I love peaches cooked on the BBQ or a cheesecake! If there's cheesecake, I'm there! I love cassata and trifle's nice too. It has to be trifle! Choux buns with lots of fresh cream and chocolate! I love profiteroles, they're my favourite! My special party trifle made with plenty of booze and WHOLE Cadbury cream eggs set in the jelly (large eggs or small, depending on the number of peeps it's for). Pavlova, with strawberries, or whatever fruit looks good at the time. Hmmmm...desserts are always a tough choice as they are all so yummy!!! For a party I'd go for a chocolate fountain with various fruits and mini doughnuts to dip. Profiteroles are my favourite, with a few strawberries on the side. A good fudgy chocolate cake. Love plain old Jelly or good old Trifle. Crème Brulee nom nom nom!!! I like something a little boozy and prepared earlier such as Lemon Syllabub or Tiramasu.